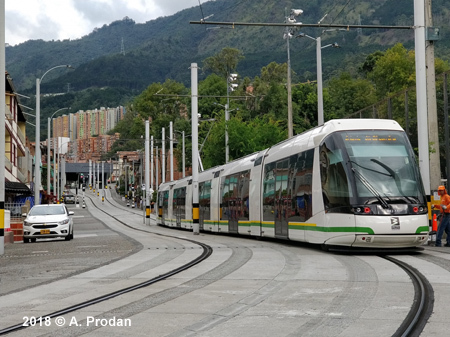 With 2 million inhabitants Medellín is Colombia's second largest city (2.9 mill in metropolitan area). 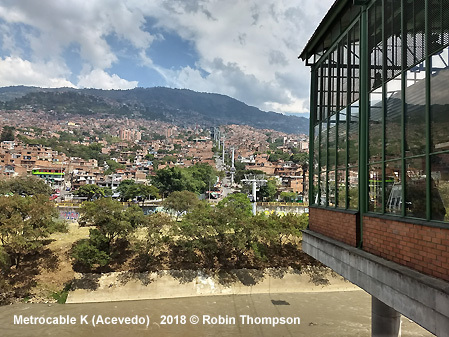 The city stretches out in a north-south direction along the Aburrá Valley. 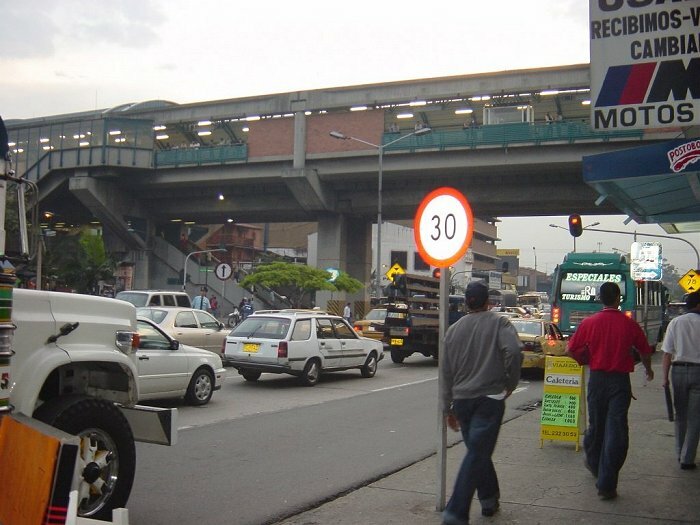 Construction of the elevated metro system began in 1985. 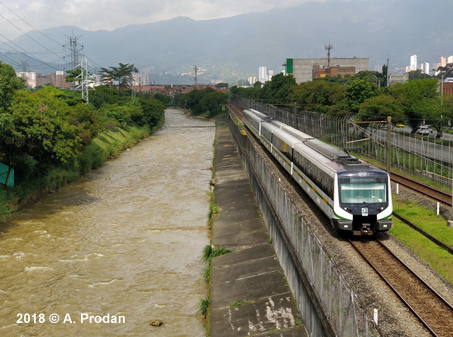 Line A is 25.7 km and runs along the Aburrá Valley from Bello in the north to La Estrella in the south. 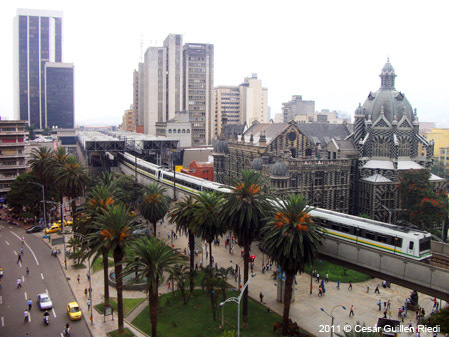 7 of the 21 stations are on a viaduct through the city centre, the rest is at grade. 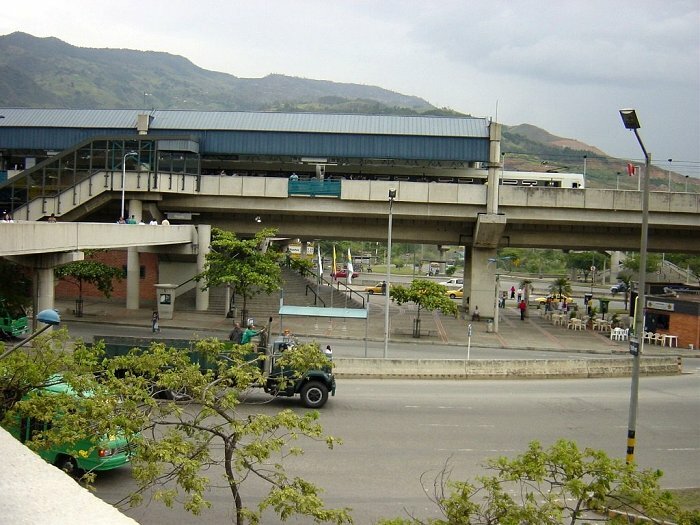 The first part between Niquía to Poblado opened in November 1995, the line reached Itagüí in September 1996. 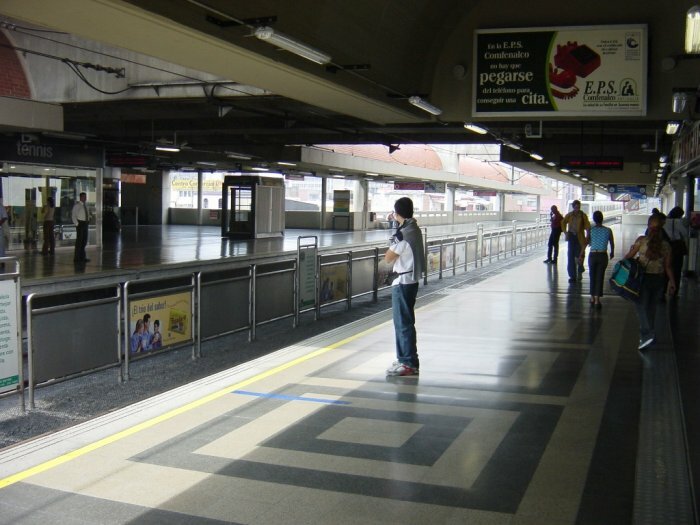 Platform length on this line is 142 m and normally 6-car-trains are in service. 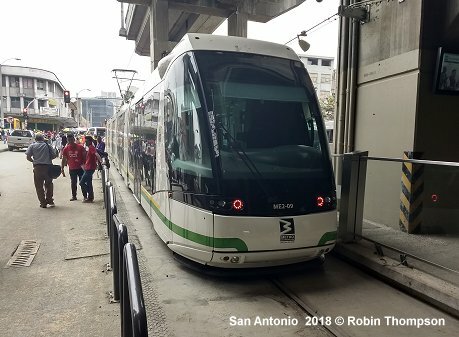 A trip on the entire line takes 36 minutes. 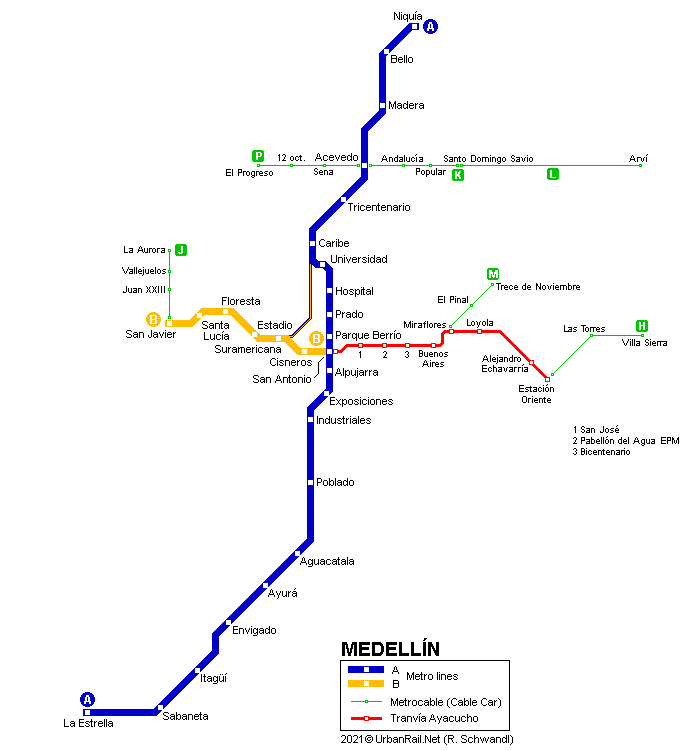 Line B runs 5.6 km through the city of Medellín from west to east connecting with line A at San Antonio right in the city centre. 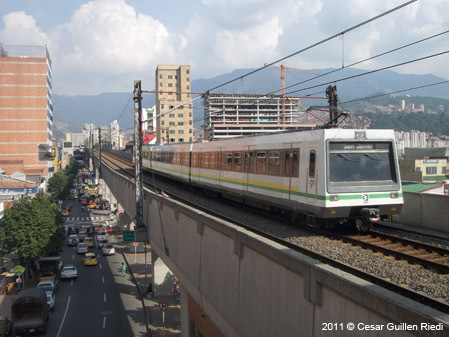 This line opened on 28 February 1996. 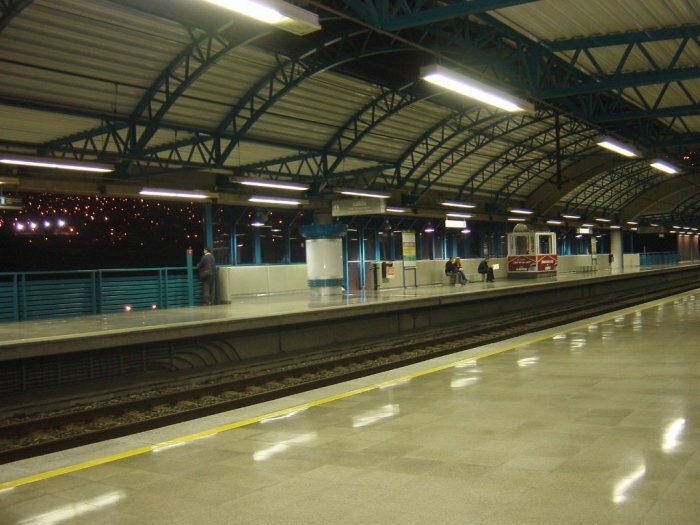 Platform length is 72 m (3-car trains), there are 6 elevated stations and one at grade. 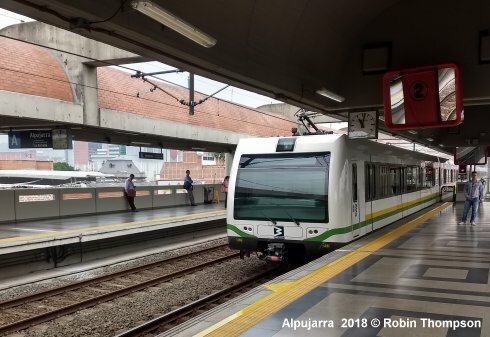 A journey along the whole line takes 11 minutes. 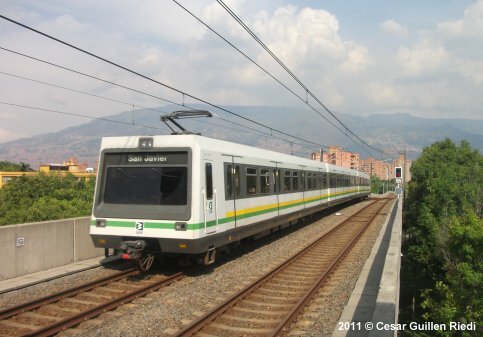 A few trains operate during morning and evening rush hours directly from Niquía to San Javier via a link track which was built between Caribe on Line A and Suramericana on Line B. 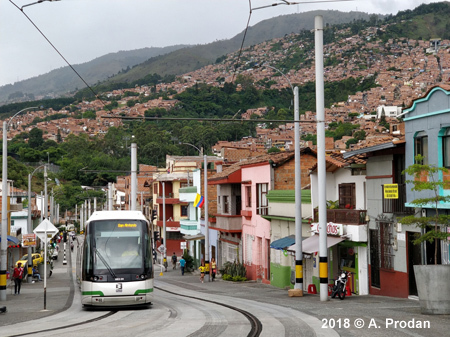 Lines H, K and J are urban cable car systems which link metro and tram stations to the hilly neighbourhoods, while line L has a more tourist character. 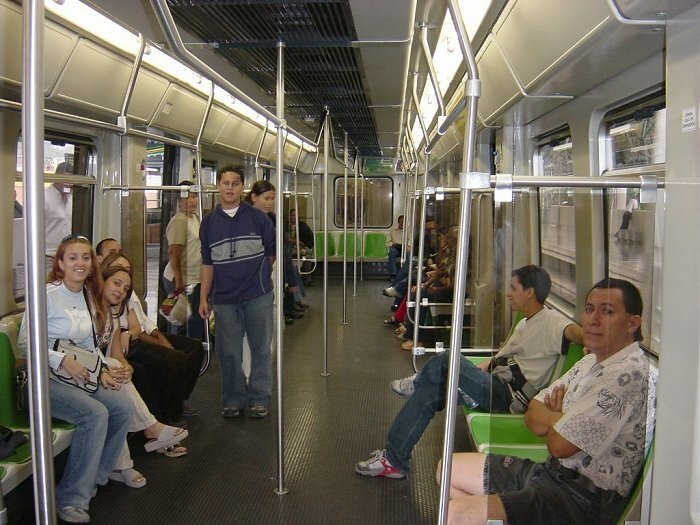 An extension of Line A is planned towards the north to Hatillo (21 km). 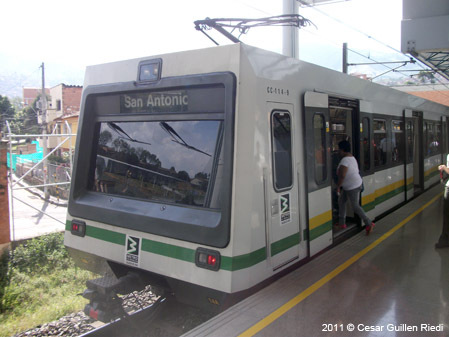 Trains will use the existing rail tracks to Cisneros. 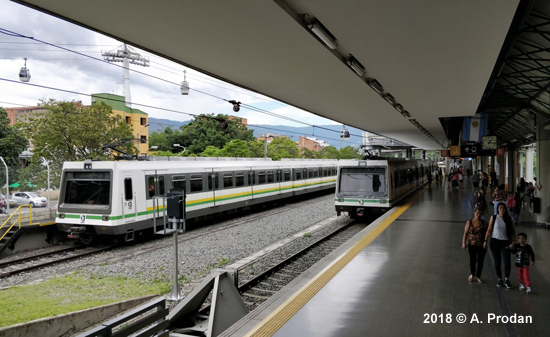 The extension will serve some 500,000 people in the towns of Bello, Copacabana, Girardota and Barbosa. 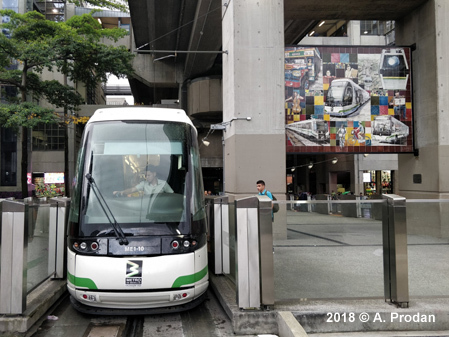 4 km Translohr-type tram on rubber tyres, trial service started on 15 Oct 2015, with full revenue service eventually launched on 31 March 2016. 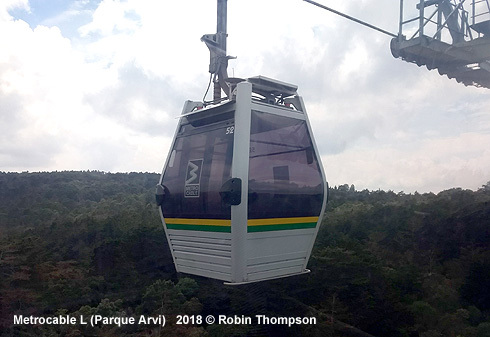 It links the metro hub at San Antonio to the eastern districts, with two of its stops providing interchange with two new cable cars that serve some hilly neighbourhoods.